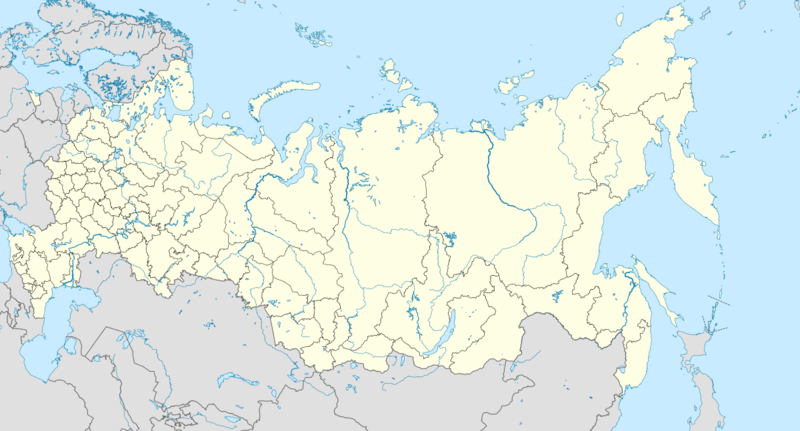 The Azov radar (Russian: Азов РЛС, NATO: Flat Twin, also RSN-225 (Russian: РСН-225)) in Kamchatka was a Soviet military radar in the Russian Far East with the GRAU index 5K17. It was designed for the S-225 anti-ballistic missile system which was never commissioned. The radar was later installed near the Kura Test Range and was demolished in 2006. The radar was built as part of the S-225 anti-ballistic missile system (NATO name: ABM-X-3), a mobile system designed to defend high status targets against attack by ballistic missiles. Work started on the system in the early 1960s and S-225 was one of three competing systems; A-35 (the one chosen) and "Saturn" were the others. S-225 was designed by A.A. Raspletin, who worked in special design bureau OKB-31, of KB-1 design bureau. The first design was done in 1964 and the first prototype of the system was installed in Sary Shagan in 1971, at site 53 (46°26′45″N 72°51′23″E﻿ / ﻿46.44583°N 72.85639°E﻿ / 46.44583; 72.85639). The radar was tested on the descent phase of missiles launched from the Kapustin Yar military launch range. Because of this it was decided that the second prototype should be installed in Kamchatka, near the Kura Test Range, to pick up missiles landing there after being launched elsewhere in the Soviet Union. In 1975 this second prototype was installed and checked in Sary Shagan and then dismantled and shipped to Vladivostok to be installed in Kamchatka. S-225 consisted of the Azov radar, a device transmitting commands to the missiles which NATO called "Pawn Shop", and two types of missiles. One missile, 5Ya27, was designed by OKB Fakel for exoatmospheric intercepts (above the atmosphere). The other, 5Ya26 was designed by OKB Novator for endoatmospheric intercepts (within the atmosphere). 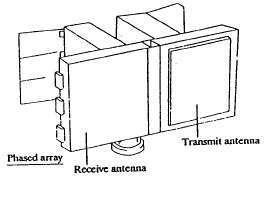 The Azov was a moveable phased array radar. The CIA estimated it could be installed in six weeks. It contained separate receive and transmit sections. The array was mounted on a pedestal and could be moved in azimuth and elevation. It is listed as being associated with the Russian space surveillance system in 2004. ↑ Thomson, Allen, ed. (2008-12-30). Sourcebook on the Okno (в/ч 52168), Krona (в/ч 20096) and Krona-N (в/ч 20776) Space Surveillance Sites (PDF). Federation of American Scientists. Retrieved July 31, 2012. 1 2 3 O'Connor, Sean (2012). "Russian/Soviet Anti-Ballistic Missile Systems". Air Power Australia. Retrieved 2012-08-18. ↑ DIMMI (2012). "Система С-225 Азов, ракеты 5Я26 и 5Я27 – ABM-X-3" [The S-225 Azov system, missiles 5Ya26 and 5Ya27 – ABM-X-3] (in Russian). militaryrussia.ru. Retrieved 2012-08-19. 1 2 Kasputyan, Konstantin (January 2008). СИСТЕМА ПРО "С-225" [Missile Defence System S-225] (in Russian). Вестник ПВО. Retrieved 2012-08-18. 1 2 Office of Scientific and Weapons Research (October 1991). "The Flat Twin ABM Radar: Not as Capable as Previously Believed" (PDF). Central Intelligence Agency. Archived from the original (pdf) on 2011-01-05. Retrieved 2012-08-18. 1 2 Karpenko, A (1999). "ABM AND SPACE DEFENSE". Nevsky Bastion. 4: 2–47. ↑ Gobarev, Victor (2001). "The early development of Russia's ballistic missile defense system". The Journal of Slavic Military Studies. 14 (2): 29–48. doi:10.1080/13518040108430478. ↑ Holm, Michael (2011). "1st Administration". Soviet Armed Forces 1945–1991. Retrieved 2012-05-27. ↑ Anisimov, V D; Batir, G S; Menshikov, A V; Shilin, V D (2006-10-04). Система контроля космического пространства Российской Федерации [The System of Space Monitoring of the Russian Federation] (in Russian). Vympel. Retrieved 2012-07-30.